The Queen's Speech sets out the Government's legislative programme for the parliamentary session ahead. The Speech is written by the government and read out by Her Majesty in the House of Lords at the State Opening of Parliament. 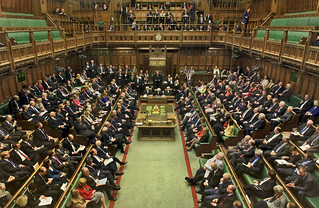 The contents of the Speech are then debated by MPs in the House of Commons over a period of days. The first day of the Debate on the Address, as it is known, is general in tone, the other days are on specific topics. This is the first debate of the new session – the motion for the debate is phrased as "an Humble Address" to Her Majesty thanking her for her gracious speech.